If your application is running on a Kubernetes cluster in Azure (AKS, ACS or ACS Engine), then it is likely that you will need to access other Azure resources from your pods that are secured with Azure AD. 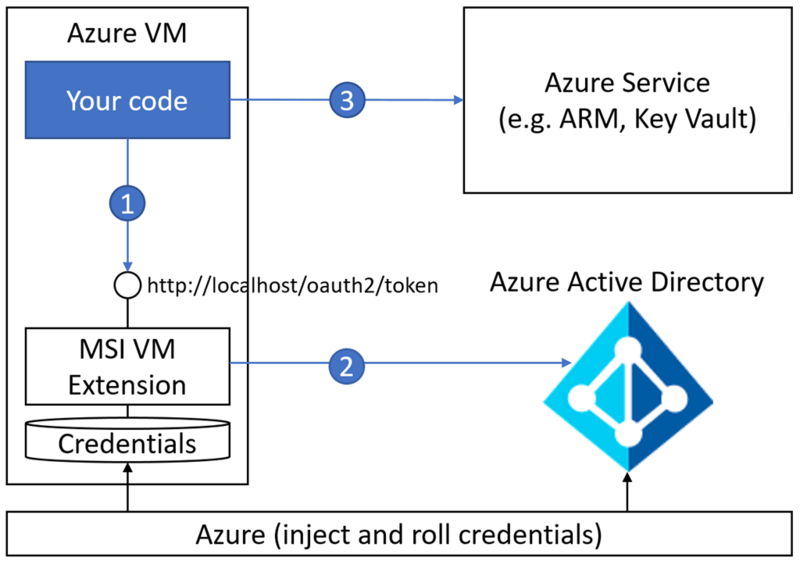 These operations could include retrieving secrets from Key Vault, files from Blob storage or just interacting with other applications or API's that use Azure AD as their identity provider. To be able to do this your application needs to be able to provide an identity to access these resources securely. Up until recently, this has required the use of an Azure Service Principal. A Service Principal is essentially an application created in Azure AD with either a password or a certificate. Using a Service Principal can be a pain as it means that you have to either pass this password to your application or make sure the certificate is loaded. It also means that it is your responsibility to keep this identity secure, roll the keys on a regular basis and so on. Microsoft's solution to this is Managed Identity. 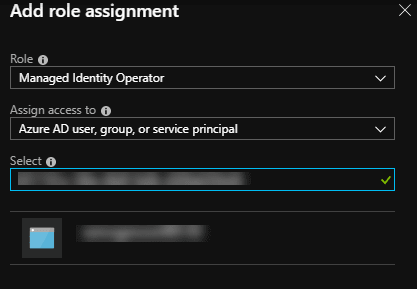 Managed Identity allows you to assign an Azure AD identity to your virtual machine, web application, function app etc. This identity is then used by your application to access resources. The management of the identity is taken care of by Microsoft; they are the ones rolling the keys and keeping the credentials secure. Most importantly you don't need to worry about passing in passwords or certificates to your application, you assign the identity to the Azure object, and that is it. While this works great for VMs and Web apps, it didn't work with things like AKS in Azure. When you deploy an AKS cluster, the object you see in Azure is the cluster. However, we don't want to assign identities to the cluster; we want to assign them to individual pods and probably have different identities for different pods. Out of the box, this was not possible, but now with a new open source project called "Pod Identity" we can now achieve this and simplify our application identity workload significantly. For the rest of this article, we are going to look at a simple scenario where we have a pod that needs access to some secrets from Key Vault. We are going to revisit a previous article where we used the Kubernetes Key Vault Flex Volume project to mount Key Vault secrets as volumes on our pods. In the previous demo, we used a service principal to grant access to our Key Vault resource. This worked, but it meant that we needed to maintain a Kubernetes secret to store our Service Principal password, which needed updating any time this changed or expired. In this demo, we will replace the Service Principal with Managed Identity so that we can let Microsoft take care of managing the lifecycle of that identity. If you want to follow along with this demo, you may want to start by deploying the Service Principal example in the previous article, so you can then convert it to using Managed Identity. To be able to make use of Pod Identity we need to deploy some resource into our Kubernetes cluster. The NMI pods are in a DaemonSet to ensure there is one running on every node. NMI is the resource that is used when your pods look to use their identity. The applications running in the pod make a call to get their identity in the same way you would do so for an app running on a VM, web app or function, using the same libraries you are used to using. When this happens, a call is made to the Azure instance metadata URL. This URL normally does not exist inside a pod, but with a pod, identity deployed these requests are routed to the NMI instance on the node. NMI then talks to the MIC to get the identity mapping and then makes a request to Azure to retrieve the actual identity. You should get a success response that creates the required custom resources, pods and daemonset. User Assigned identity - These identities are created as a standalone object and can be assigned to one or more Azure resource. Their lifecycle is not bound to these objects. We will be using user assigned identities, as a system assigned identities do not work in this scenario. 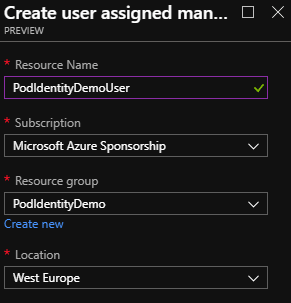 We need to be able to assign identities to pods, which are not native Azure resources. The first thing we need to do is create the identity. We can do this through the portal, CLI or Powershell. Click the create resource button and search for "Managed Identity." In the portal, this can be found by clicking on the identity and looking at the overview. It is labelled as "Client ID". In the CLI or PowerShell, when you created the identity, it should have outputted some information on the identity, one of which is the Client ID. We also need the full resource ID of the identity. In the portal, you can find this by clicking on the "Properties" option. The ID should be listed on the page that opens. In PowerShell or CLI it is again listed in the output from the create command. Grant this identity the ability to read the secrets in the vault using the vault permissions. This is done by selecting the vault in the portal and going to "Access Policies". The only rights required for this demo are get and list on secrets. This command should output information about the cluster, including the Client ID. Now we have the client ID we can grant the "Managed Identity Operator" role to it on our Identity. In the "Role" drop-down select "Managed Identity Operator"
To create the identity, we create a Kubernetes YAML file that defines the resource ID and client ID of the identity we wish to create. We give this identity a name, this can be anything, but it is what we will use to reference the identity in the binding. Now we have created an identity object in Kubernetes; we need to determine what pods we want to bind the identity to. We are not going to bind it to a specific pod here directly but instead, bind to a label. This way any time a pod is created with that label it will get the ID assigned automatically. The name of the label will always be "aadpodidbinding", but the value is what we define in this binding. When the value of aadpodidbinding matches what we define here, the role will be assigned. We use the name of the identity we created in the previous step, then define a label value of "demo-kv-access". The label value can be anything you want, so long as you use the same value on your pods. We now have an identity created in Kubernetes and a binding ready to attach to any pods that have a specific label. All we need to do now is deploy a pod that is ready to use this identity to access key vault. This pod needs to be running an application or service that can make use of Managed Identity once the binding is attached. Amend the Flex Volume parameters to change to using Managed Identity and remove the secret reference to the service principal. The Pod Identity project provides a relatively simple way to switch from using Service Principals inside your pods to using Managed Identity. Managed Identity removes many headaches around providing secure access to identities as well as dealing with things like key rotation and renewals. By utilising User Assigned identities and Kubernetes tags, it offers a flexible way to set up your identities in advance and assign them to pods as required.